Game plotlines have gotten complicated. We've come a long way from "the Princess has been kidnapped, go rescue the Princess". The Super Nintendo acquired a pile of RPGs with complicated plotlines, the gaming industry had a brief but ill-fated flirtation with live-action directing, and we've attempted all sorts of curious branching plotlines and fully explorable worlds. Somewhere in here, the gaming press and public came up with an interesting term. "Theme park". A "theme park" game is one that calmly shunts you along from awesome event to awesome event, like a Disneyland attraction on rails. You get to see a lot of amazing stuff but, in the end, you had little to no choice in your actions. The most popular accusations, and the most damning of them, tend to be leveled at World of Warcraft. The curious part is that World of Warcraft plotlines never involved choice. People claim to have felt more immersed in the game years ago, and despite the complicated and deep plotlines that now fill the World of Warcraft universe, and the identical amount of influence players have on the world (namely, none), the game just doesn't grab people like it did. Now, part of this is probably just people tired of WoW. The game has been out for a very long time and people are bored. But I think there's a different reason – one that can be analyzed carefully, and, with effort, avoided. In order to demonstrate that reason, we're going to have to take a journey back in time, tens of thousands of years ago. Or, if you'd prefer, six years ago, to the release of Ice Age 2. Spoiler-laden plot synopsis: The main characters of Ice Age are happy in their new home paradise. Then disaster strikes! The gigantic ice wall that's holding the ocean back is beginning to melt, and the entire population must migrate to the other end of the valley, where a boat awaits to rescue them. Will they make it in time? Well of course they'll bloody well make it in time. It's a kid's movie. Right off the bat you know that it will have a happy ending, and that means everyone's gonna survive. The problem is that they've already tipped their hand. Nine minutes into the movie and you know the whole plotline. Sure, it's a kid's movie, and that means it will be happy, but that doesn't mean they need to tell you how everything will work out. 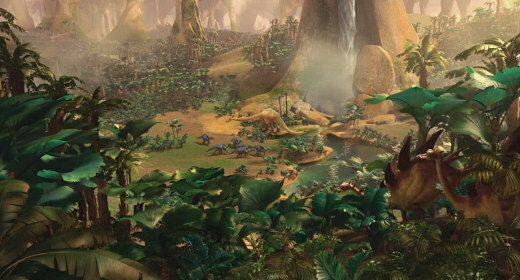 Compare Ice Age 2 to Hook. We all knew Hook is going to have a happy ending also, but we didn't know how. We didn't have the entire plotline of the movie spelled out in the very beginning. This is important. Did they enter the valley on the other end, then troop all the way down here? What do they eat? Everything around is ice and bare dirt! The universe feels incredibly artificial – there's The Place That Everything Happens In, and then there's an impassable barrier ensuring that you're not allowed to think about stuff outside that place, and then there's an infinite ocean. It felt like the world was created for the sake of the plotlines they wanted to make. Like they had a checklist of things they wanted to include, and by God they were going to make sure to include all those things, so they went down the list and when every event was checked off they called it a movie and released it. 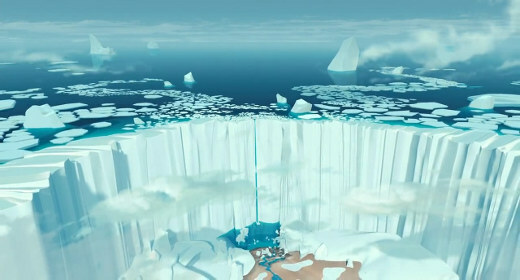 Move forward three years and we've got Ice Age 3, which takes a dramatically different approach. Two minutes in we've got a plot point: the main character's wife is pregnant! Three minutes more and we've got another: one of the side characters is getting easily exhausted while hunting, and wants to leave the group! Another two minutes and we've got yet another: the main character is neglecting his friendships for the sake of his pregnant wife! Another five minutes and we've got a fourth plotline: someone's found some eggs! And then they hatch dinosaurs! And the dinosaurs don't play well with the smaller and fuzzier babies of the area! And, seriously, what the hell is the plot of this movie? The answer is that there isn't a single plot. Everything listed up there is important and interwoven. Instead of having a single backbone plot, with subplots interspersed like a monotonous drumbeat, Ice Age 3 interweaves every plotline together – the short ones, the long ones, everything. The "main" plot isn't even started until 25 minutes into the movie. The end result is that you never quite know what's going to happen. Oh, sure, it's going to end happily ever after, it's a kid's movie, we know that. But it's unclear what "happily" means in every case, and it's certainly not as obvious what the exact events are going to be. With that many plotlines running in parallel there are ample opportunities for them to bang into each other and interfere with each other, such as when the mommy mammoth needs for the hunter to defend her against attacking dinosaurs, despite his feelings of inadequacy. Dual plotline resolution, go! 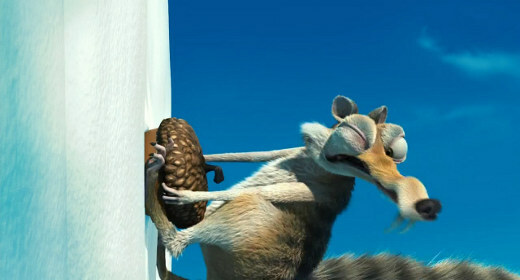 And finally, Ice Age 3 spends a lot more time attempting to insert personality into the various side characters. With mixed success, I'll admit – the "main villain" is still little more than an angry killing machine. But this time it's a killing machine with a name, and backstory, and significant history with one of the main characters. I start caring about him because his behavior will actually have long-term consequences with the other characters in the movie. Now, take a look at MMO questlines. Today, each zone has a single largely-linear questline. You're shunted along a backbone plot from one event to the next. Sure, each event is related to the plot, but none of them go outside the plot in an unexpected manner. 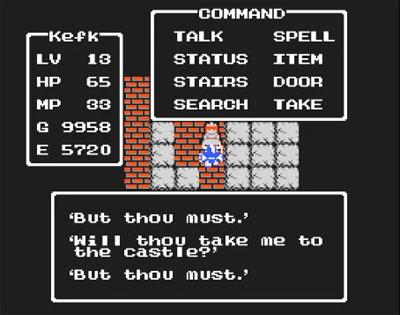 Each quest is predictable – hell, with few exceptions, each quest gives you the entire quest description before you've even accepted the quest. And there's no way to escape the relentless march of the plot. There's nothing outside the plot, there are no surprising interactions. You start the zone, and several hours later, you finish the zone. But several years ago, things worked a bit differently. Sure, each quest was, if anything, even simpler. But zones tended to not have single unified plotlines. Often, they had a pile of smaller plotlines. And you weren't shoved along a single plotline – if you went and explored, you could find a different plot. 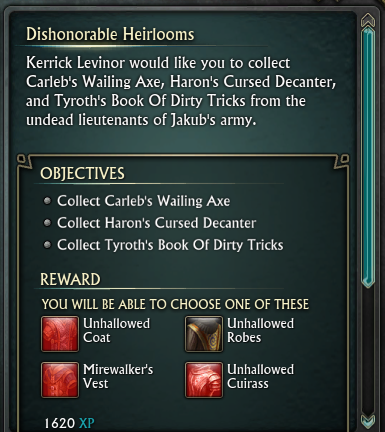 You could pursue these in any order you wanted. There's the opportunity – you're walking around the world doing one quest, and bam, you walk straight into another quest! It didn't feel like you were on rails nearly as much, it felt like you were walking around in a significantly more alive world, where each player would end up experiencing the world in a slightly different order and with a slightly different flavor. Another problem is the characters. I think this is a situation where, with the best of intentions, MMO design has gone in exactly the wrong direction. Modern MMO quest design is all about participating in epic plots. But that's the problem in a nutshell. It's not your plot, it's someone else's plot. It's Thrall's plot, or Asha's plot. With the old style of MMO quests you had limited choice, but you still had the option to say "haha, screw that, that's not worth the effort". And a lot of the best-known MMO plots were single people asking you for assistance with their person problems. With the modern style, it's the big leaders of your faction or alliance, requiring that you help them with whatever disaster has popped up lately, and if you don't, you can't continue the plotline. It doesn't feel personal. As an example of how subtle but important this can be: Imagine you're talking to the Emperor's engineer. He tells you that he needs a left-handed sprongwhacker in order to build a machine to drive back the Infernals. You go and retrieve a left-handed sprongwhacker and give it to him. He says, "hey, thanks! Here, have some platemail." Received: [Platemail of the Emperor]. Now imagine a different quest. You're talking to a mechanic in a village. He says, "oh man, I'd totally make you a set of platemail, but I'll need a left-handed sprongwhacker. I used my last one yesterday!" You go and retrieve a left-handed sprongwhacker and give it to him. He says, "fantastic! Here's that platemail you wanted." Received: [Sprongwhacker-Imbued Platemail]. Which of these feels more personal? Well, the second one does by a long shot! You did something, not because a guy told you that you should, but because you wanted to. And your reward is a permanent badge of honor. You found that sprongwhacker, and this is the platemail that proves it! Whereas in the first place, you just got some random platemail. In fact, pretty much every piece of armor you find in a modern MMO is random. Every once in a while, a quest will offer a reward, but it's rarely thematically appropriate and never mentioned in the quest text. There is exactly one difference between a quest that offers equipment as a reward and a quest that doesn't: the quest that offers equipment says "you can choose one of these pieces of equipment as a reward". I think this is a problem. I want to feel like I earned that equipment, and I want to feel like the person giving me the equipment has noticed that I am worthy of a new shiny piece of armor. As it is, there isn't even acknowledgement that you've gotten equipment. It feels like a perfectly mechanical side effect of pushing the "complete quest" button. The fundamental problem is that MMOs are trying to design their questlines like they're movies. Movies have it easy: they can tell you who the most important people in the movie are. They can focus on one character and now it's important, or they can give backstory with sad music and now you know the other character's important. But with games, we already know who the most important person in the game is. It's you. It's the player. It always will be the player. And that means that every event, every plot point, has to interact with the player, not a bunch of other characters that the designers are dancing across the screen in the hopes that you'll get entangled with their plot. If you want me entangled, you need to make me entangled. And that means either giving my avatar a chance to develop some personality of his own, or giving me a chance to influence my own story, even if this is something as simple as giving me a choice between which stories I feel like pursuing. I think one part you are overlooking is the design of a plot. Storylines are linear. If you read Harry Potter or watch Titanic, you are going to have characters that do specific things and you merely watch. You do not have control. And that's FINE. You can't affect the storyline because it's not meant to be; it's how the author envisioned a tale and you are there to simply learn about it. And that's really how games are going to be as well. The only way to break free from this linear, choice-less structure is to remove the plot completely. Then the game turns into an activity where you can do what you want. In a multiplayer fighting game match, players have full choice of actions. Do they want to throw, use kicks or punch? Do they ultimately want to win or lose? There's no storyline saying that their character HAS to win or lose, so results can vary. When a games are like activities, you can do whatever you want. There is freedom. When games are based on stories, it becomes like a movie script. You are playing a part, but you are doing what someone else has already decided on you to do. You can't just say or do what you want; you are an actor, bound by the script. Look at Heavy Rain. The storyline isn't linear. You might get the best ending, you might get a mediocre ending, you might get the bad ending. You *do* have control, and you *can* affect the storyline, and there *is* plot. Look at Fallout – you can avoid entire segments of the plot, or play cities completely differently, or beat (or join!) the end boss in several different manners. Again, there's a core plotline. Again, you have control over how it plays out. There's no reason that "story" and "control" must be mutually exclusive. We've been making branching and adaptive stories ever since the first Choose Your Own Adventure books. And we've gotten better at them since. Yes, it means you're slightly constrained within the bounds of the plot, but a well-built game plot will set things up so that you want to travel down one of several reasonable paths, and recombine those paths when it makes plot and economic sense. Even Wing Commander had plot branches. I expected someone to bring out the branching storyline argument. To be fair I haven't played or beaten any of the games you have listed. I will bring up Mass Effect which I assume is in the same line of games you are talking about. See the thing about Mass is that even with choices, it's still a linear game. When I say linear, I am talking about the fact that when one event happens, you are forced onto another path, even if there are choices. Linearity is simply a progression of time: what we do now comes after what we just did and is before what we will do later. Unless we live in a 4D world where we can do everything at once, time to us and in games flows one way. So when I say linearity, I am talking about time. But I want to examine choices once again in games. In Mass Effect, you do make choices, but I think the question to ask is if those choices affect anything significantly. I mean sure I could bed Ashley over Liara, but does that effect the ultimate end where I'm going to face the reapers? I mean we can't just throw a level in Mario where you get to wear a green or red suit and then call Mario a choice driven game can we? Anyway I think at least what we can start with is a game like Half-Life that does not give player choices and go to the other extreme which is a multiplayer game of say… Counter-Strike where the player is given an almost infinite amount of choices. I would say games that have choices in their storylines fall closer to the former. Even if you can choose certain paths in the story, you are still bound by the story and are only given certain options to choose. You can't choose an option that's not given to you. You are still limited by what the developers allow you to do in the storyline. You can't just say "F this, my character is going home" in Mass Effect or anything. And as for games with different endings, many of these are just for joke and do not apply to a series' canon. For instance, you could beat Tekken with a specific character, but in the official storyline for the next game, it is mentioned as to who wins. That means that what you did in the previous game did not matter. 1. All games have been linear and will most likely continue to do so just because we are bound by the linearity of time. 2. Singleplayer story-driven games with choices might throw out the illusion of control, but the player still does not get absolute control; the choices that are allowed are still restricted by the developers. 3. Absolute control belongs to games that aren't bound by a plot that dictates the events that will happen. Instead these games allow the player TO dictate what happens with gameplay. These are usually multiplayer games. Honestly, this is where I tell you to go play Fallout :V In Fallout there are indeed extremely major changes you can make to the plotline. It's possible to influence the government of several cities, for example, and – through your actions – choose who the leaders are. As I recall, it's even possible to commit genocide. And Heavy Rain is similar – it's entirely possible to get a bad ending simply because you decide to play a character who isn't willing to sacrifice enough. Without giving away too much of the plot, there are a bunch of trials that you're put through. Some people will do all of them. I did most of them, and was able to get a good ending anyway. Some people won't be willing to do any of them. In this game, that's a [i]huge[/i] difference, and the only similarity between the various endings is that they're wildly divergent endings to the same plot. Even if you can choose certain paths in the story, you are still bound by the story and are only given certain options to choose. You can't choose an option that's not given to you. You are still limited by what the developers allow you to do in the storyline. You can't just say "F this, my character is going home" in Mass Effect or anything. This feels like a crazy high bar. Yes, obviously game plotlines will always be limited to your available choices. But that's a far sight from "you have no choices". It seems like you're claiming that if you can't do *everything*, then you can't do *anything*. I think that's just too much to ask. Even human-run adventures generally don't go that far – if you're playing D&D with a bunch of friends, and the group keeps saying "nah, we don't want to adventure, we're just going to sit in the bar and get drunk", then you're not going to get much of a plot and the GM is going to get annoyed at you. The best open-plotline games I've seen – and, admittedly, I haven't seen many of these – put the player in a world with a bunch of stuff that's happening and that you can do, toss in a ticking clock, and let the player decide what to do. The player is allowed to simply abandon their plot if they want, leading to a bad ending for that plotline but not necessarily for the player. The player is allowed to pursue the plot to the exclusion of all else. The player is allowed to do anything in between. This seems to fall directly into your suggestion for a game that isn't "bound by a plot that dictates the events that will happen" – yes, there will always be a finite number of possibilities, but if the player is able to choose between those possibilities, then I'd say we've got a game with significant choice. Ah, I'd love to give Fallout a try if I didn't assume the game would take at least 20 hours or more to beat. I'm also one in favor of shorter, yet concise games. The way I see it is that many games that appear to be non-linear out there are linear because in order to "complete" the game, the player has to do a series of events that are done in a specific order. Of course there may be things players can choose or choose not to do, but I would really call those optional tasks. But if the player has to do certain things to end the game, he's really no different than a train on a train track, except instead of one path, he might have 3. Take this picture. The player starts at the tree and progresses and ends up at one of the roots. The thing is the each ending has essentially been planned by the developers. I guess I make the distinction of linear or not in a severe way because I take the terms literally. You could have a million lines, but it would still be linear because you have to do certain things to get to the conclusion. I just feel that if a game has a plot, there is something the developers are trying to show or tell us in the game. If that's so, then when they tell us, it's a specific thing that we as players can't change otherwise it would defeat the purpose of telling us. With multiplayer or games like Minecraft, they aren't bound by that. They are giving us a box of toys to open and say to us do whatever you want. Regardless, I like both types of games as they do different things. Yeah, Fallout is a behemoth of a game. 20 hours would be conservative, to be honest. I just feel that if a game has a plot, there is something the developers are trying to show or tell us in the game. If that's so, then when they tell us, it's a specific thing that we as players can't change otherwise it would defeat the purpose of telling us. Maybe, maybe not. With games that do good branching plotlines, the game *doesn't* have a plot, it has multiple plots that are chosen based on the player's actions. Think of it more like a forest filled with trails. Yes, you're always going to be walking on a trail, but you can choose which trail to go on. Want to walk towards the mountain? Pick trails that lead in that direction. Want to hang out near a stream instead? Pick trails that parallel the stream. And, sure, maybe the trails reconverge at various points, but that doesn't invalidate the choices you made earlier on. You still traveled on a trail of your choice. One of the best parts of Fallout is the ending sequence. Instead of playing one of half a dozen canned cutscenes, it's made up of a dozen or so ending fragments, one for each area of the game that you had the ability to influence. Because each area's storyline could be ended in two or three different ways, you end up with an entire ending that's customized for you. Maybe you did good in Area 3 and bad in Area 7 and genocided Area 10 – the ending sequence will reflect all of that. If we consider the entire ending sequence to be "an ending", then there's hundreds, if not thousands of endings to that game, despite having only a few dozen unique ending fragments. But the important part is still the full story, and the full universe. At the end, you see your impact on the world, for good or for evil. Giving a message can be done without a central plot. It can be done in a completely open world with no "official" plot. Instead, it is the interaction of elements within a setting. For interactivity, the plot points should be placed in a non-linear manner (I'll be writing a post on this over the next few days, I'll follow up with a link in another comment), all of these plot points interacting with each other simultaneously. Fallout is a step in the right direction for this, but it isn't perfect. You can't have absolute control in a video game. In TF2, for instance, I can't decide to pick up a piece of rope I've found and improvise a grappling hook to get to higher areas, because the rules of the game do not allow for that eventuality (it would take too much time to code). In a tabletop RPG, you can do this, but since video games don't have someone continuosly modifying and creating how the game runs means that you are restricted to a set of actions. In a few days, I'll have a follow up post to this.